The closeness to the beach makes our place to one of the best to be on Sylt. A special highlight for our guests: This house is built on grounds with great historical valueThe place where the hotel was built in 1996, has a long tradition. On the grounds of the current Strandhotel Sylt, used to stand the famous “Hotel Wulf”. 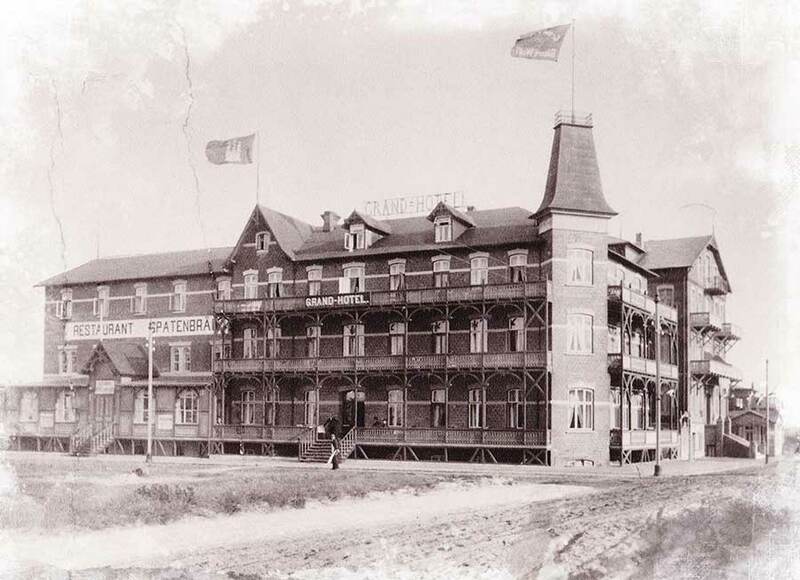 This hotel largely built of wood was well known on the island of Sylt. The hotel, built in the architecture style of Resort, invited many guests every year, who wanted to relax at the beach of Sylt. This long-standig tradition is continued at the Strandhotel Sylt in a very charming way. This is the reason why our guestsenjoy a memoriable stay every time they visit. For more than 100 years, tourists came to the the island of Sylt to rest and relax from everyday life. As a seaside resort, the island attracted visitors who wanted to strengthen their health, or recover from illness. This is how the health-conscious tourists already, more than 100 years ago, helped Sylt to an economic reorientation. Still today tourists enjoy the fresh sea air and relax on the beaches of Sylt. 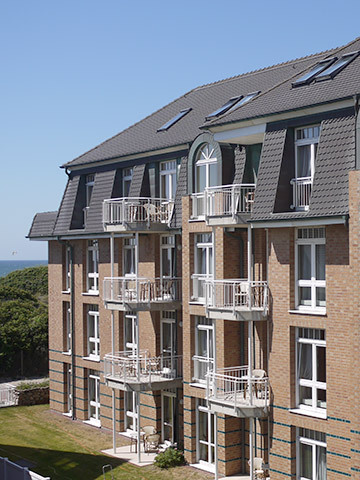 Also in the Strandhotel Sylt, guests can retreat from everyday life. In our in-house spa, we offer our guests an extensive list of beauty treatments. An overview and further information about our individual beauty offers and our wellness area can be found here.